Six fans were selected to be Fan Corespondents on the set of the Twilight Stories short films. Here is a look at the making of each film through their eyes. This set visit was honestly one of the best experiences I’ve ever gotten to be a part of. I’m such a huge fan of the Twilight Saga, so when I found out about this opportunity I jumped on it. I had read about Jane and Alec’s backstory in the Twilight Official Guide so I thought I knew what to expect on set, but I was wrong. The story being directed in front of me was so much more interesting than what was written on the page. It was so cool to see Jane and Alec before they became the scary twins of the Volturi that we all know. Whenever I am presented with a dark character in any franchise, I always wonder how they got that way and why. Consumed answered those questions for me. Any fan of the twilight saga whether they loved Jane and Alec or not, will definitely be delighted to see their backstory. 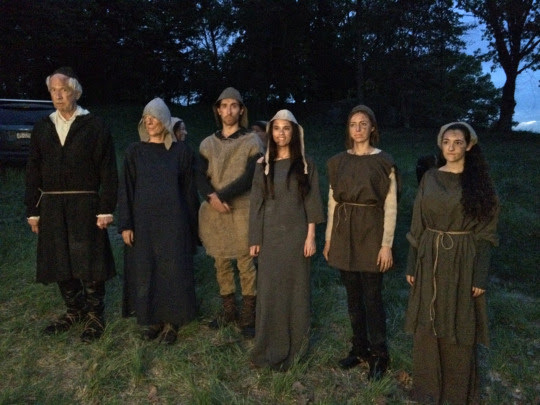 This backstory couldn’t have came together without an amazing location, superb actors, a dedicated director, fantastic camera crew, and creative wardrobe, hair, and makeup people. Here I am first arriving on set. We filmed at Rockefeller state Park in New York. 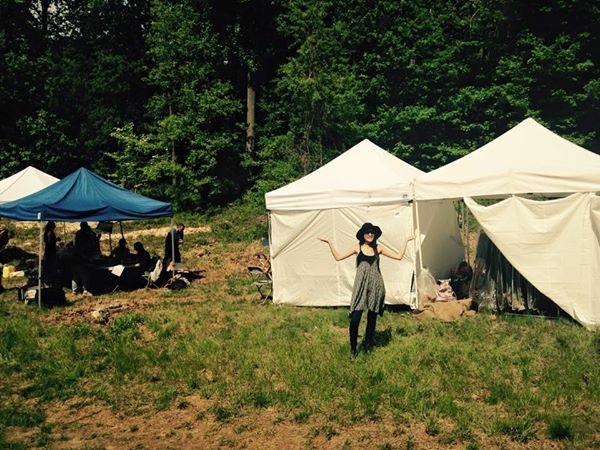 There were a bunch of cool tents to harbor all of the main actors, extras, and crew. There were also a bunch of snacks around for all of us to munch on. This second picture is of me interviewing the director of consumed Maja Fernqvist. She’s been on movie sets since she was little because her father is a director too. It was clear the Maja was right at home here doing what she loves. I was allowed to bring my mom to set with me and both of us were lucky enough to sit in on one of the scenes being filmed. We got these cool headphones and were able to listen to the scene as it was being performed right in front of us. 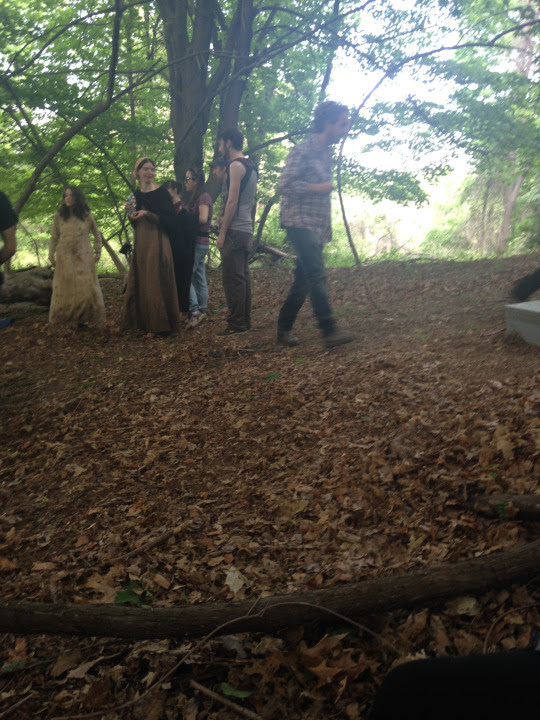 The scene involved Jane laying on the ground in the woods, and then her mother running to her worried sick. We watched the scene play out many times. I wasn’t sure why they had to do it so many times because it seemed fine to me, but they were just filming it from different angles every time they did it. I found this fascinating because I never knew that had to be done. I thought my day couldn’t get better at this point, but it did! I got to be an extra in the film. I was lucky enough to play a villager! 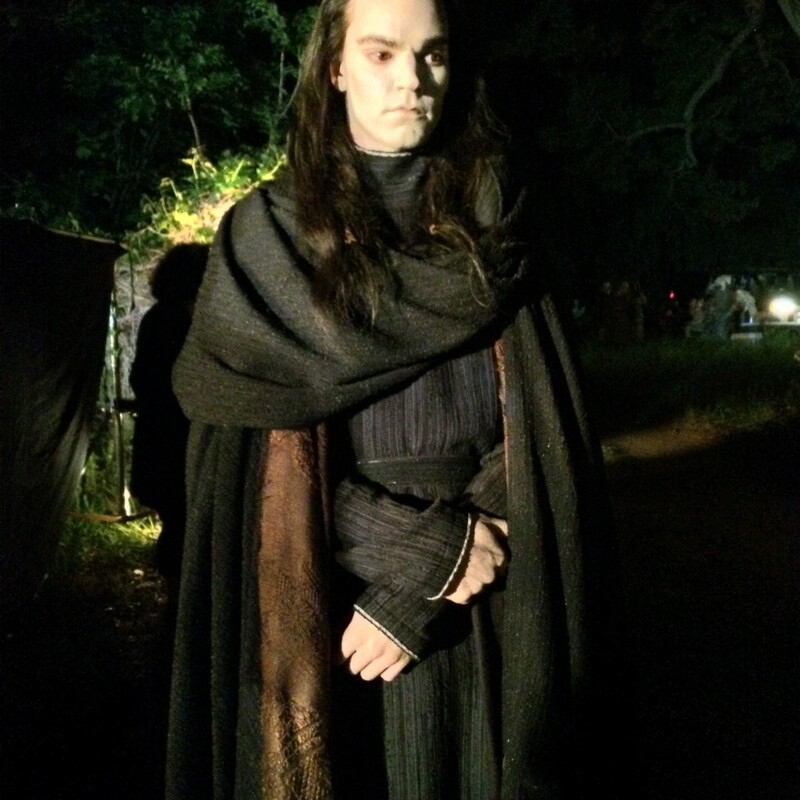 I was taken to wardrobe very early on in the day and was given a long gray dress to put on. It was very warm but I kept tripping on it. But I was in costume so I felt cool anyway. 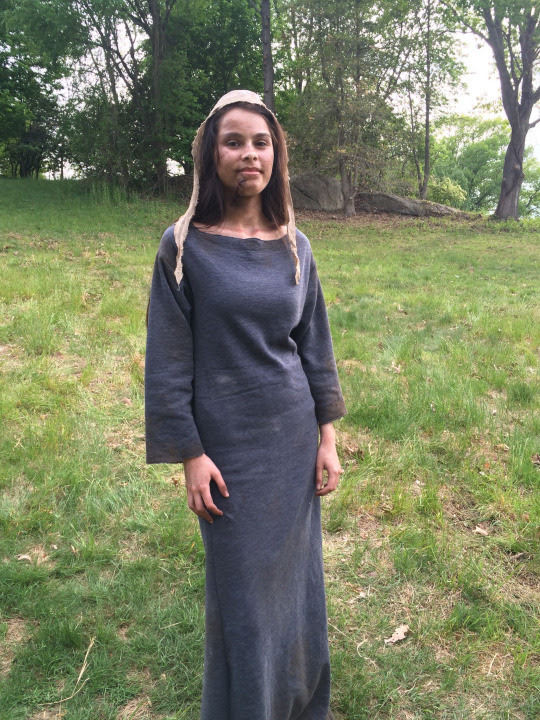 The wardrobe people were so nice and had to dirty up my dress. 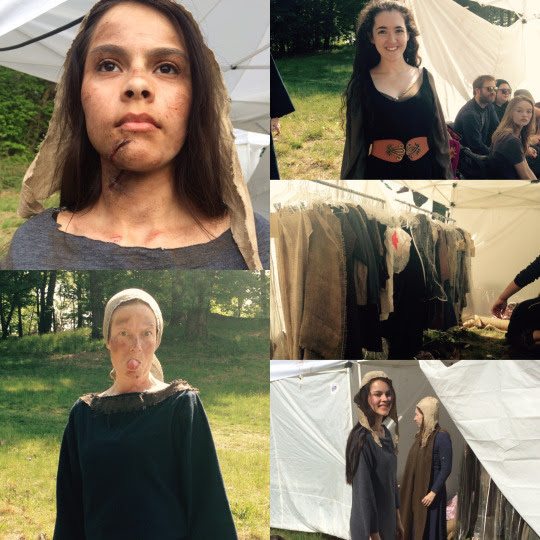 In the same way, the makeup and hair people were also very kind and great at what they do. 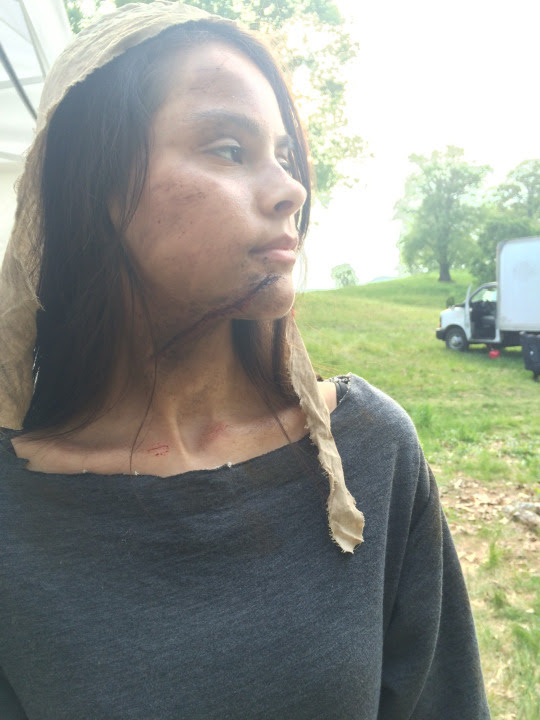 I was one of the lucky villagers who got to get a gross scar put on my face. Usually when you think hair and makeup, they are supposed to make you look beautiful. That was not the case for me. But it was all in good fun! Here’s some pictures o f what I looked like along with some other extras. 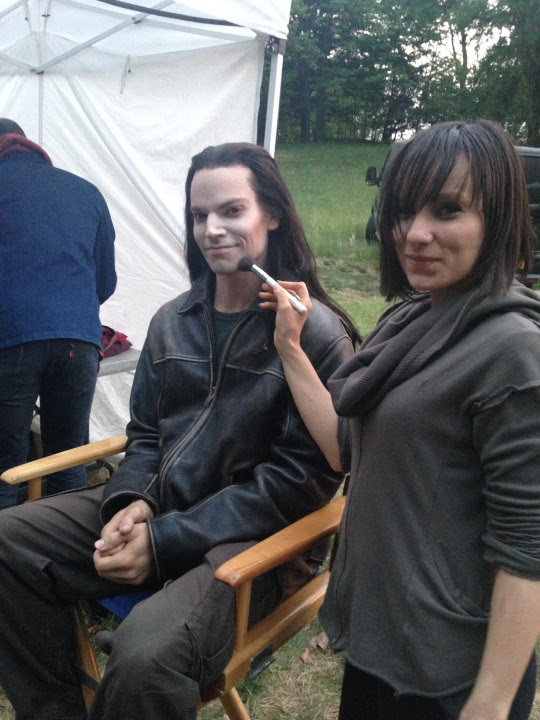 Here’s Jeff who played Aro, and Candice who did an awesome job with his makeup. After I was made up (or it might be better to say made down) I headed to set. 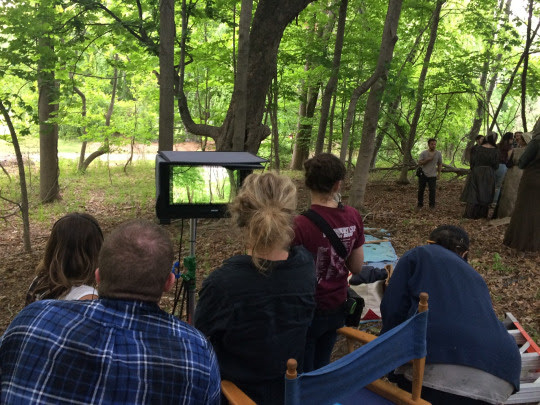 The scene about to be filmed was an angry mob of villagers holding Alec in their grasp while storming towards Jane and her mother. Me and my fellow villagers were all given weapons of some sort which was fun in itself. I was given a big stick to carry and I felt powerful. Before action was yelled I was told to just be angry and run and just follow the crowd. Something that sounded so easy, made me nervous when I saw the camera but I just went for it. And man was it fun! It was hard not to trip on my dress while also running and wielding a stick but I did it. 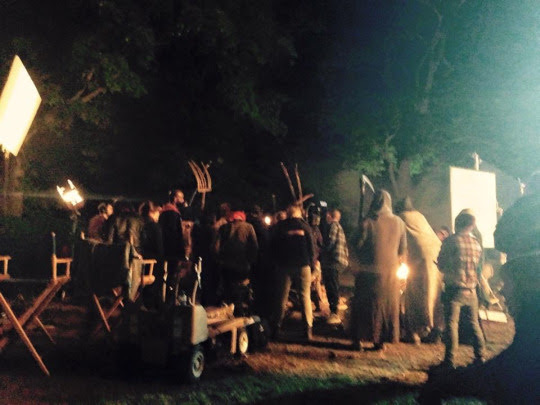 The best part of m y night was filming the last scene. It was Alec and Jane about to be burned at the stake when they are saved by Aro. All of us villagers got to scream our lungs out by saying things like “burn the witches” “guilty” and “make them suffer”. I’m surprised I didn’t lose my voice! Before filming, because we were going to be using fire for the scene, we had a fire safety talk which was very comforting. And I’m happy to say no one caught on fire! I was lucky enough to be featured in the part of the scene where Jane’s mother is killed, and that was cool. The acting done by Jessica who played mother and by Zach and Elizabeth who played Alec and Jane was great! 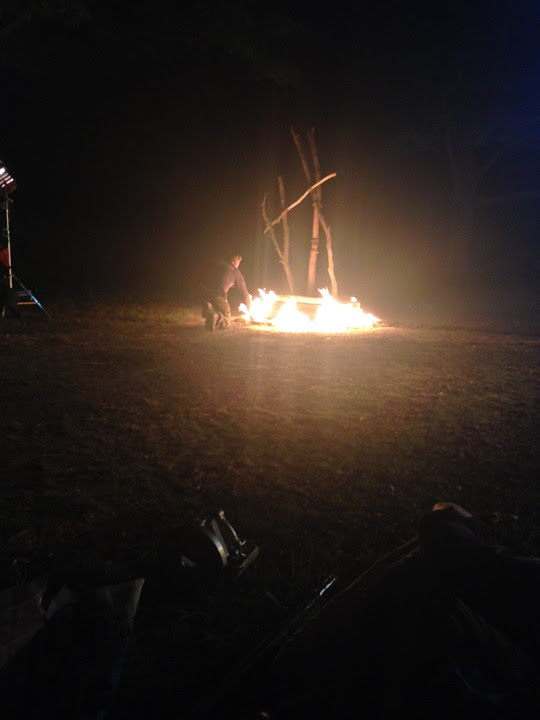 At the end of the burning scene Aro enters the scene and kills all us villagers. We had to scream and drop to the ground which was pretty fun considering the circumstances. 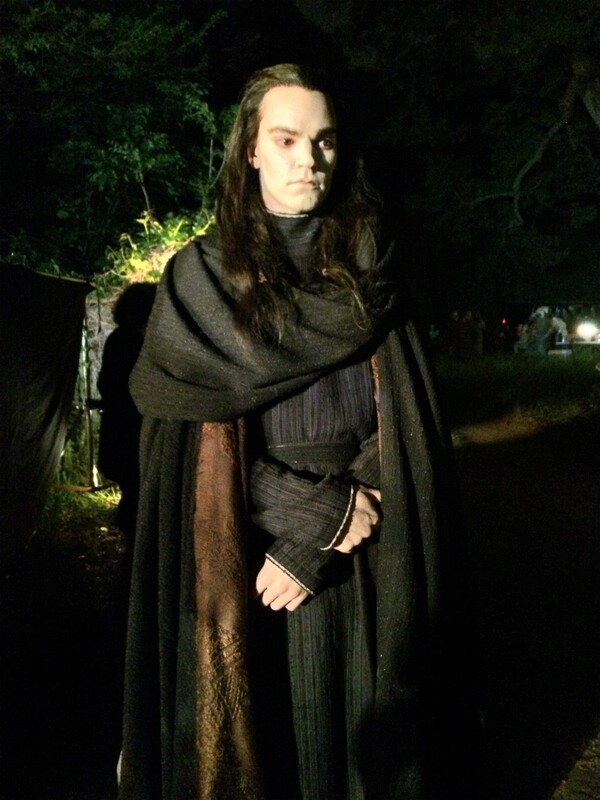 When Aro entered all in costume I was blown away. He really looked like a vampire! 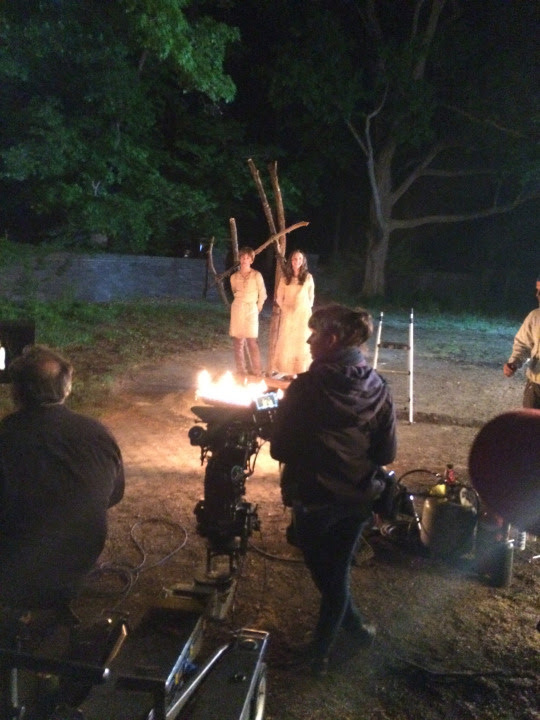 Here’s a picture of me with Elizabeth and Zach (aka Jane and Alec) before we filmed the burning scene. Overall, my experience on CONSUMED was amazing! I couldn’t have asked for a better experience! Not only was I able to see how a movie was made but I was also able to be a part of it! I’m so honored to be the CONSUMED Fan Correspondent! Everyone on set was so nice to me and made me feel included. I wish I could do it all over again! Thanks Maja for letting me interview you! You were such an amazing director! Congrats Megan and Cullyn for being able to see your script come to life! Thanks Liz for giving me a scary face. And thanks to everyone for such a great experience! I’ll remember this forever!